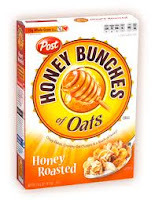 Honey Bunches of Oats only $1.50 w/ Coupon! Hurry and print this $1/1 Honey Bunches of Oats coupon to get a good deal at Walgreen's for 2 days only, 12/25-12/26! If you can't make it to Walgreen's on those 2 days, you have until 12/24 to get another great deal at Target.